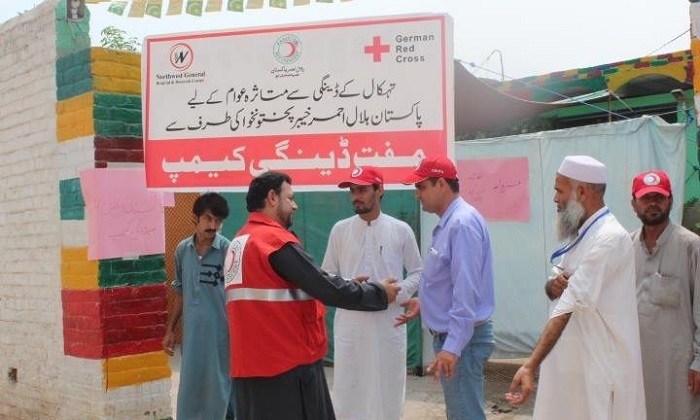 PESHAWAR: The Khyber Pakhtunkhwa branch of the Pakistan Red Crescent Society (PRCS) has set up two health camps in Peshawar for providing consultancy and screening to dengue patients. The Society distributed 4,000 mosquito nets in addition to 1,000 dengue kits donated by the German Red Cross (GRC). The PRCS KP branch has also launched an awareness campaign in the dengue-hit areas to save maximum number of people from the mosquito bite. The KP branch has expressed its determination to cooperate with the provincial government for setting up more health camps, distributing dengue kits and providing people with mosquito nets and insecticides in the affected areas.